North Wisconsin Academy, founded in 1892 by the Congregational Churches, provided the first high school education available to young people of the small, isolated lumber camp, sawmill and farm communities in the area known as the Great Lakes Pinery, but commonly referred to as “A God-forsaken Waste.” It stretched across the northern third of Wisconsin, Michigan and Minnesota. The Academy was to be co-educational, to have a program of classical studies, to train both mind and character, and to be geared to the resources of the pioneer families it was intended to serve. 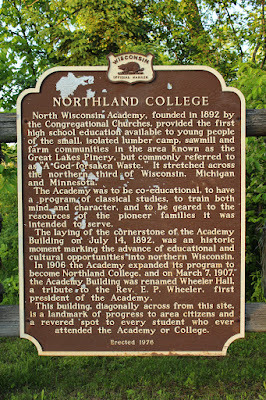 The laying of the cornerstone of the Academy Building on July 14, 1892, was an historic moment marking the advance of educational and cultural opportunities into northern Wisconsin. 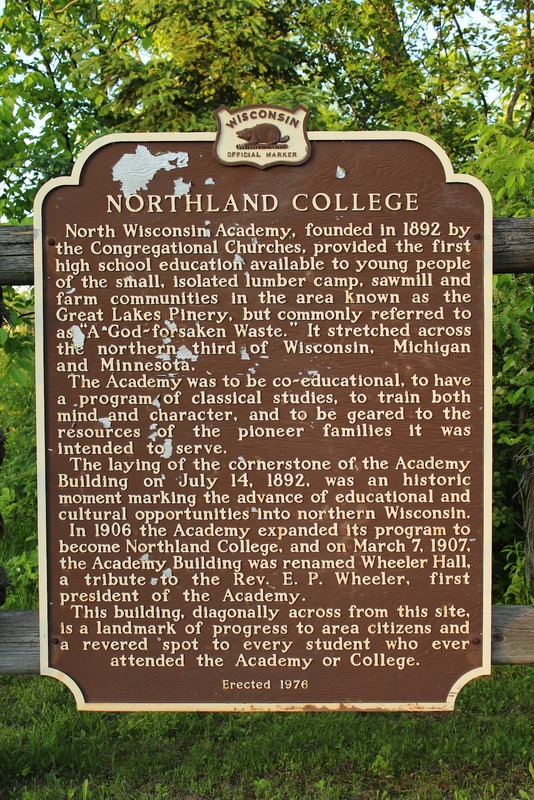 In 1906 the Academy expanded its program to become Northland College, an on March 7, 1907, the Academy Building was renamed Wheeler Hall, a tribute to the Rev. E. P. Wheeler, the first president of the Academy. This building, diagonally across from this site, is a landmark of progress to area citizens and a revered spot to every student who ever attended the Academy or College. 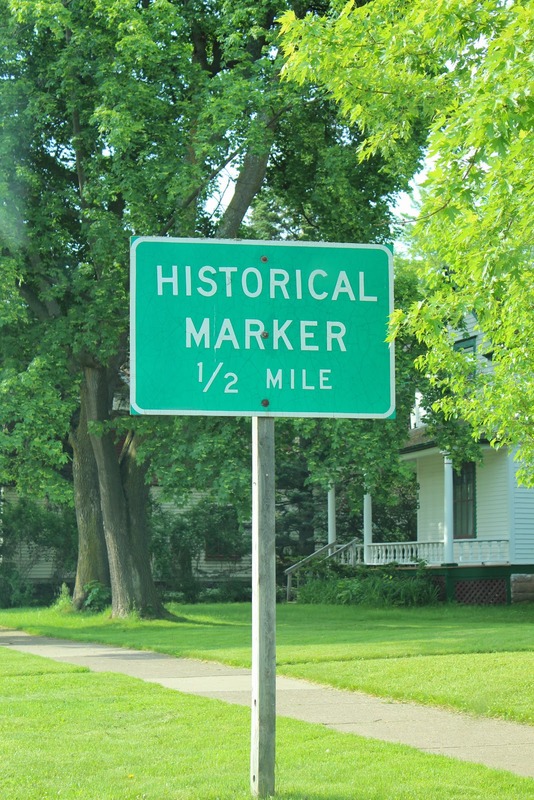 The marker is located on Ellis Avenue (Wisconsin Route 13), north of its intersection with 16th Street East, across from the entrance to Northland College, 1411 Ellis Avenue, Ashland, Wisconsin 54806. Signage leading up to marker location.